It’s hard to believe there are only a few months left in the year; time flies when you’re having fun, eh! How has your year been so far? Maybe it’s been a little disappointing and you’re looking to improve your numbers while you still have time. Or maybe you are having a great year and you want to ensure your momentum continues well into 2019. Whatever your situation, here are 10 tried-and-true strategies for finishing 2018 strongly and positioning yourself for a very productive 2019. An account plan isn’t something you create in January and forget about; it needs to be a living, nimble document that sales teams consistently utilize, update and share collaboratively in a team selling environment. Account plans act as strategic and tactical guides to help move future revenues into the present, based on clear understanding of client needs and pains. Each account plan should explore opportunities to up-sell, cross-sell, go wide, and go deep. Have each member of your sales team make a list of their assigned accounts and have them prioritize them in order of strategic importance and potential growth opportunity. Within each account identify the key decision makers and influencers, then contact each one. Develop a strong pre-call plan, then engage in a conversation with each – leave no stone unturned. Take this time to position yourself as a valued partner, not just a vendor. The clock, of course, is ticking. Tic, toc! -What are the top 3 -5 pain points? -What are the business impacts of each pain point? -What is the Prospect’s “Priority Level” to solve each pain point? -Is there an approved budget? -What is the Prospect’s decision process (people and timeline)? -Where am I in this deal and what are the specific next steps to move forward? Be mentally prepared, in advance, to respond to scenarios or potential outcomes. If the scenario is ambiguous for you, it is for your buyer as well. Clarity is key! While this can be a complex topic, one thing you can do pretty easily is to identify excess budget in your customer’s organization through your understanding of their historical spending. This foresight can lead to pre-billing for services yet to be rendered and, in essence, warehousing money for the client to spend in the next year – with you! For many clients, it’s a “use it or lose it” situation. Make sure you clearly understand your client’s financial calendar. Remember, it’s not about you! Within the next few weeks I highly recommend you revisit all of your opportunities from earlier in the year. Opportunities that lost funding, were cancelled by the customer, or you closed the file. Remember, funding can be restored base on client needs or an improvement in their financial outlook. Your understanding of your client’s/ prospect’s environments increases your competitive advantage and positions you to win deals that your adversaries have dropped from their radar. At Sandler, we refer to a small piece of business that helps you to get your foot in the door or will lead to larger opportunities as a “Monkey’s Paw.” Whether you call them pilots, quick-starts or other descriptive terms, they are a great way to kick off inexpensive initiatives that require minimal client investments. This will help you to enhance client rapport and position you to take advantage of larger engagements in 2019. Use your client’s knowledge to identity these opportunities to get engaged. Don’t be afraid to get a “no”. I urge you to go for the “no”. If a customer or prospect has gone dark on you, make a call and say, “Since I haven’t heard back from you, I get the feeling that you have gone in a different direction, and if that is the case, that’s OK”. Prospects who have moved on but never told you so will allow you to “close the file.” On the other hand, those who simply became distracted will often move forward with a deal after you have reconnected with them in this way. Time is a very precious commodity and as you close the year strong, you can’t afford to be in the dark. Whether you close the file or identify something new that will help you win the deal, you have been given a gift! If you are a Sales Leader, don’t tell your team, “We’ve got to finish the year strong.” That statement is too ambiguous. Instead, set specific actionable targets, such as having X number of prospect conversations per day, or identify specific actions and revenue targets by account. Then connect the personal goals of your team members to the company’s financial goals…….they’ll work smarter and that much harder. Since we all know referrals have a much higher close rate, be proactive and go into the LinkedIn profiles of your existing customers and look for the gold. If you see connections that would be a great fit for your product or service and you would like to be referred into, ask your client to do so. Remember to track your client’s organization LinkedIn page, as well as those of your individual contacts. Companies present themselves differently on their LinkedIn pages than they do on their websites. And they often update their LinkedIn page much more frequently, providing meaningful information that you can act on. Sales Managers, now is the time to take action on chronic under-performers while there’s still time to salvage opportunity and revenue from their territories. 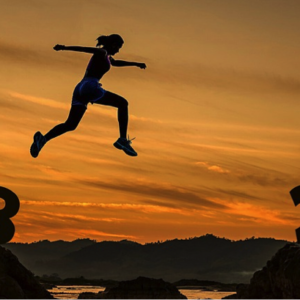 It’s also time to on-board new quality sales reps who will not only help to wrap up 2018 with impactful results, they can provide you with momentum as you enter 2019. Even without quality replacement candidates ready, tolerating consistently poor performers sends a very negative message throughout your organization. You never hear sales leaders lamenting, “I moved to quickly on releasing Jack.” It’s always the opposite, I urge you to take action. Visit www.tps.sandler.com for more resources to help your business grow!